On the 1st of April 2015, H&J Martin joined the Lagan Specialist Contracting Group, bringing together two family owned and run businesses that have many similarities and synergies. Founded in 1840, H&J Martin have a long, successful construction legacy spanning 170 years, playing a noteworthy part in the creation of many landmark buildings such as Belfast City Hall, Grand Opera House, and the Slieve Donard Hotel. 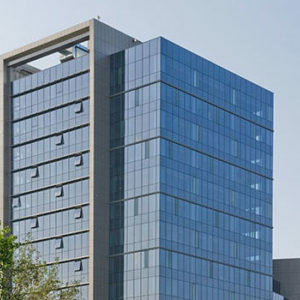 At present, within the Lagan Specialist Contracting, H&J Martin operate three main divisions, Asset Management Services, Construction and Fit Out at their headquarters, based in Belfast, Northern Ireland. 1840 Henry Martin 1840 is the starting point for “Henry Martin Builder’s” long proud history. 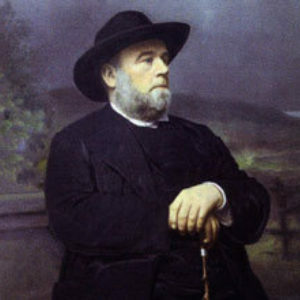 Henry would later be joined by his son, John, in the family business when they became collectively known as H&J Martin. Throughout the next 170 years this father and son team, and their descendants, would be responsible for some of the UK & Ireland’s most iconic buildings. 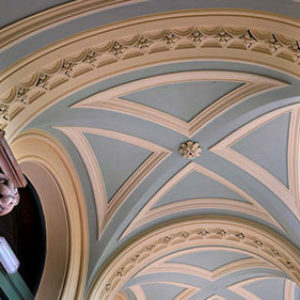 1862 Elmwood Presbyterian Church Designed by John Corry, Elmwood Presbyterian Church was one of H&J Martin’s first major contracts on record. 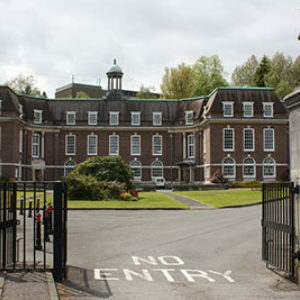 The church is now owned by Queen’s University Belfast, who today use it as medium-sized concert hall for a wide variety of musical events. 1879 John Martin Henry’s son John Martin joined the family business in 1879. 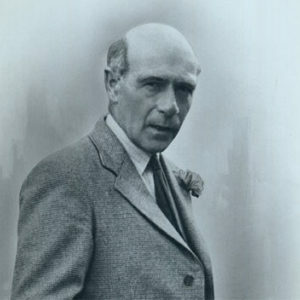 John was undoubtedly the main driving force behind developing H&J Martin into a major building and property company. 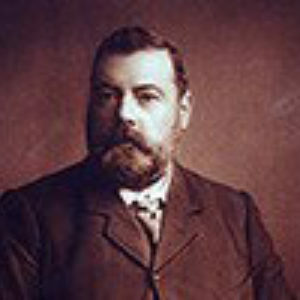 In 1898, John became the company’s first chairman. 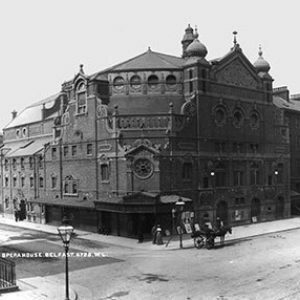 1895 Grand Opera House The Grand Opera House, built by H&J Martin, opened its doors on 23 December 1895, The £44,000 building would later become Northern Ireland’s first listed building. While the doors opened in 1895 the curtain did not come down on the relationship. 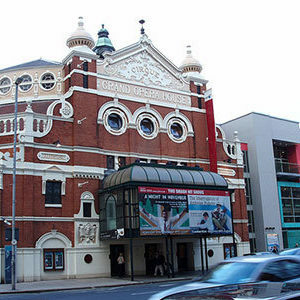 H&J Martin would go on to complete several refurbishment projects on the building in the years ahead. 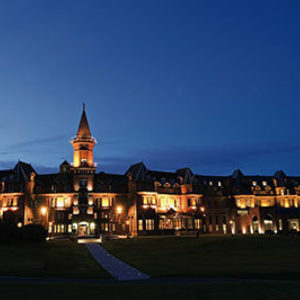 1898 Slieve Donard Hotel H&J Martin completed construction of the Slieve Donard Hotel – a landmark building that overlooks the world renowned Royal County Down golf course. 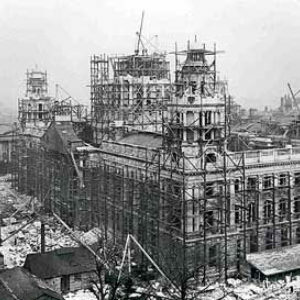 Prior to completion, the construction site was inspected by the Duke and Duchess of York in 1897. Since then the hotel has hosted many well known celebrities, including Charlie Chaplin, Michael Jordan, Archbishop Tutu and Tiger Woods. 1906 Belfast City Hall Built for £369,000, on ground purchased for £30,000, H&J Martin started work on Belfast’s City Hall in 1898. The project was commissioned after Queen Victoria gave Belfast City status and took 8 years to complete. The cost of the project was nearly £1 for every person living in Northern Ireland at the time with a modern day construction value of a staggering £128 million. 1918 Major Irish Contracts H&J Martin continued to prosper with major contracts including: The Museum and Art Gallery, Stranmillis, Belfast Agricultural Buildings for Queens University Belfast Stranmillis Training College Belfast Hospital for Sick Children And many more. 1949 Howard Martin On the death of his father Henry Martin, Howard Martin became H&J Martin’s third Company Chairman. 1960 Eric Martin John Martin’s grandson Eric Martin took over as chairman in 1960. 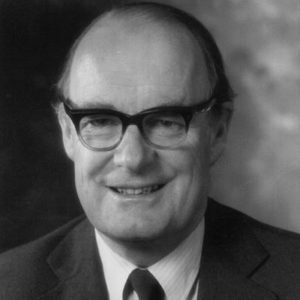 Eric would lead the company throughout the next 35 years and was rewarded for his services to the UK construction industry by being awarded an CBE. 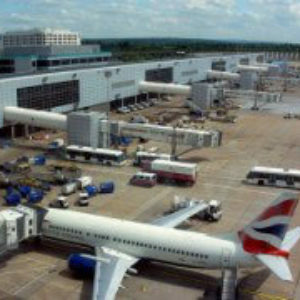 1985 More Projects Completed Across the UK During this time H&J Martin carried out a series of Design and Build projects in England and Scotland for Alpha Airport Services in airports at Aldergrove Airport, Belfast, Edinburgh, Newcastle Upon Tyne, Birmingham, Gatwick and Stansted. The company continues to work on airport projects throughout Europe. 1994 The Grand Opera House - Revisited H&J Martin’s association with the Grand Opera House began in 1896 during its construction. 100 years later in 1996 we carried out major repairs and refurbishment contracts as a result of serious damage caused by car bomb explosions. 1995 Billy Martin Billy Martin succeeded his cousin Eric Martin as company chairman when Eric retired in 1995. 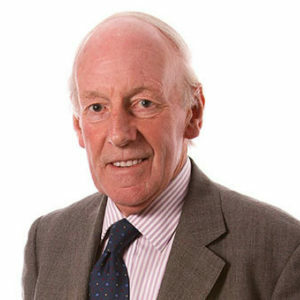 Billy has helped guide H&J Martin through a period of expansion. In 2010 Billy was awarded a MBE for his services to the construction industry. 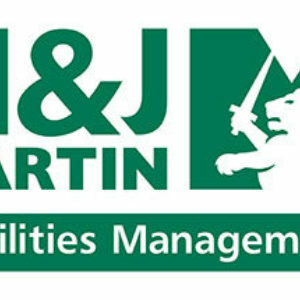 1996 FM Division Formed The Facilities Management division of H&J Martin was first established after winning a contract with ‘Cable & Wireless’ in 1996. This division was fronted in the beginning by Larry Scott and Derek Martin. The FM division has come a long way – from a core staff of just 4 people to Ireland’s biggest provider of FM services and a turnover in excess of £40m. 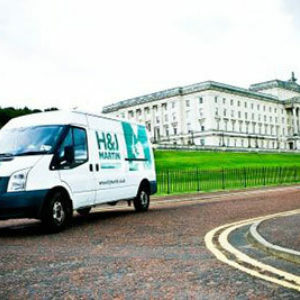 2003 FM win Maintenance Contract on Stormont Estate In a major success for the FM division, H&J Martin secured the Maintenance contract on the Stormont Estate, the Home of Northern Ireland’s political power and possibly the highest profile public building in Northern Ireland. H&J Martin’s success in the delivery of this contract has meant we continue to offer these services in the Stormont Estate today. 2006 Major Healthcare Projects H&J Martin completed a major new hospital block development at the Royal Victoria Hospital. 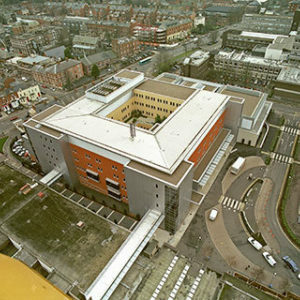 We also completed a new Cancer Centre at Belfast City Hospital. 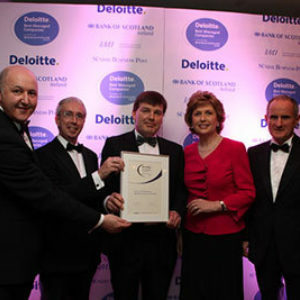 2009 Deloitte Best Managed Company Award The Deloitte Best Managed Companies Awards Programme recognises companies operating at the highest levels of business performance. The team at H&J Martin is delighted to have received a “Best Managed Company” award since 2009. 2010 1st Project Completed in Romania Having opened a new Romanian office in 2009, H&J Martin completed their first project in the region in April of 2010. The AIG Lakeview project was a massive success for our Romanian team and led to many more opportunities. 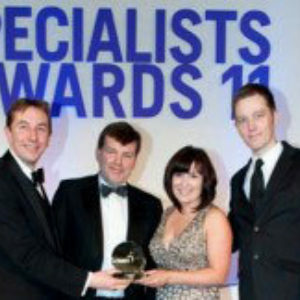 2011 Construction News - Specialist Award Winner H&J Martin were delighted to be awarded the Construction News Fit Out & Finishing Contractor of the year at the Specialist Awards 2011. 2015 The Next Chapter On the 1st of April 2015 H&J Martin joined the Lagan Specialist Contracting Group. The two family owned and run businesses have many similarities and synergies.